> Power Factor: 0.95 Min. > Power Efficiency: 85% Min. > Projection Distance: 8 Meters, recommend. > Beam Angle: 60/120 Degrees. > LED Color: Red, Green, Blue, Yellow, White. > Base material: Aluminium Alloy covered by fluorocarbon. 10pcs/Carton, Carton Dimension: L600×W200×H250mm; G.W. : 14.5KG. 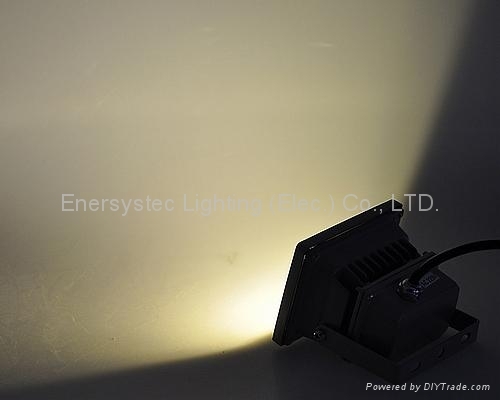 10W High Power Projector LED Light Luminaire has various light color output, can replace 50W Metal-Halide or HID light, it is ideal lighting solution for outdoor application to appear the good design of the architectural buildings, also suit for Parking, Plaza, Poster, Garden area, or any other places where is needs the colorful lighting effects. 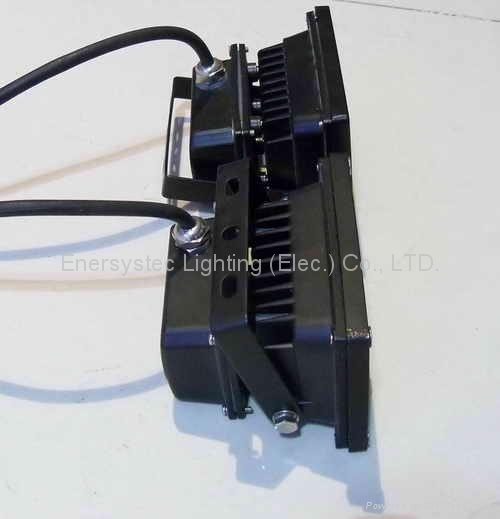 Uniqued features of Low cost for maintenance, Long lifespan, Low heat generation, High efficiency, Energy saving , Environmental protection and high reliability for the LED flood light, so it is very popular on the market. 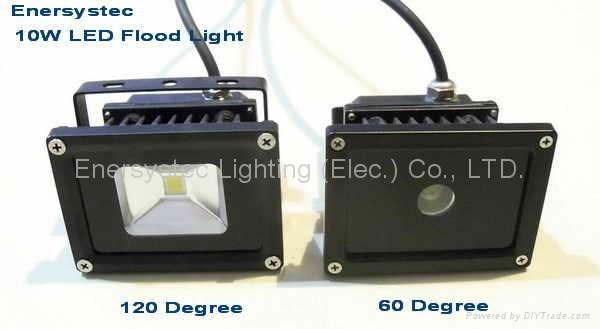 Utilized high brightness power LEDs as light source which manufactured in Taiwan, the chipset has stable reliability, high luminance and high color rendering index. 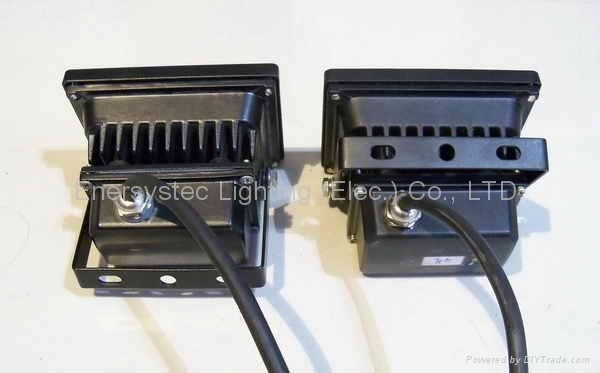 The case made with aluminum alloy material which helps to reduced self temperature of LED chipset, so make the led with longer lifespan, the product has a life time of 50K hours, light loss will be less than 5% within 1000 working hours. The case is covered by fluorocarbon to avoid the case be oxidated in high moisture environmental, adopt high efficiency lens, the light was designed with waterproof and dustproof, also designed to work in high salt environmental. A constant current LED driver was inside the light, no flicker, even illumination, noise is less than 15dB, the led driver has over voltage protection, over current protection, surge protection and short circuit protection. No UV & IR, No radiation, No electromagnetic interference, No hazard material as Hg & Leads. Energy saving about 75% compared with Halogen Lamp, it is really a Green product to our life. 1. 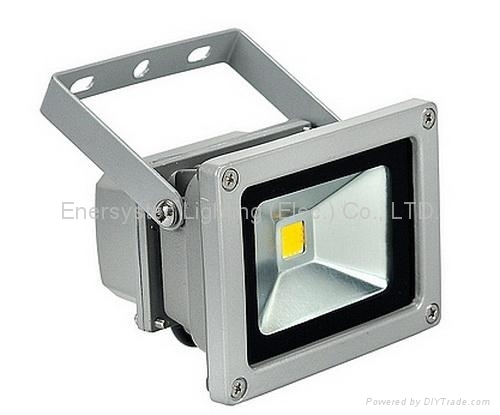 Switch off the main power before install the LED street light. 3. Fix the light by screw on the wall or ground, and wiring the power supply to the light.